As he struggled into his winter coat, he took one last look out the window. Lucky he did, or he would’ve missed the fox. It tottered along the lane, throwing nervous glances over its shoulder. When it reached the green it stopped and swayed, glancing about, and its eyes alighted on the line of shops under Robert’s window. Robert had the strangest feeling it was reading the sign for his da’s shop, but that couldn’t be, could it? The fox nodded to itself and limped onwards. Some secrets change the world in a heartbeat. . . .
Lily’s life is in mortal peril. Her father is missing and now silver-eyed men stalk her through the shadows. What could they want from her? 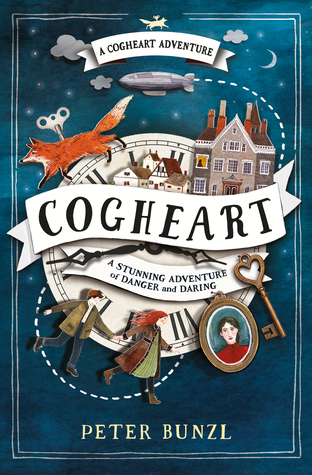 With her friends—Robert, the clockmaker’s son, and Malkin, her mechanical fox—Lily is plunged into a murky and menacing world. Too soon Lily realizes that those she holds dear may be the very ones to break her heart. . . . Murder, mayhem and mystery meet in this gripping Victorian adventure.